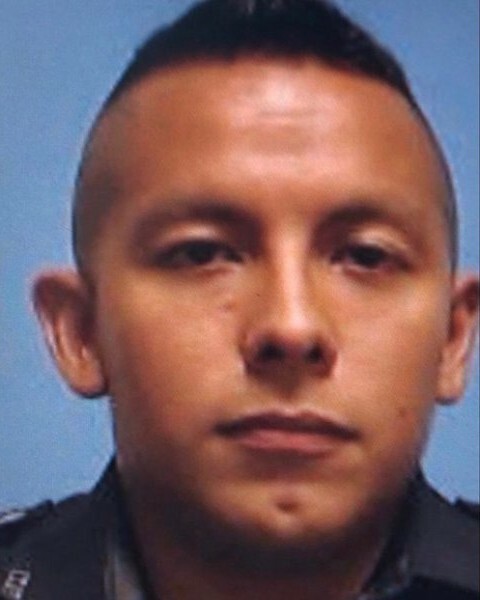 On behalf of the Zone Five Regional Law Enforcement Training Academy, we send our deepest condolences to the friends and family of Officer Santander. God Bless. My heart is broken for you and your family and friends, but also as your brother in blue. I was part of the chase from Pleasant Grove to North West where we apprehended your killer and we will see that he gets Texas justice. Rest In Peace brother; we have the watch from here. So Sorry to hear of Rogello's passing. May The God of Comfort & Peace be Near all who loved Him. My Family sends tearful Condolences to Family , Friends , Department , Community & Country. Thank You Rogella & your Fellow Officers for your Brave & Unselfish Service . RIP Rogella , Son of Valor, With Honor. Ms. Karen Morgan PSY & LE GRAD. Praying for God's hand of peace to be with the surviving family and the rest of the Department. Rest in peace my brother. Our thoughts and prayers are with you, your family and the Dallas Police Department. To the family of Police Officer Rogelio Santander, friends, Chief of Police U. Reneé Hall and the Dallas Police Department. You are lifted up in though and prayers. May God comfort, hold you close and give you His peace that surpasses all understanding through Christ Jesus our Lord. Thank you for your service. John 15:12-13 / Matthew 5:9. Thank you for your service brother. May you rest in peace. Officer Santander, our Lord need angels in heaven. That's the only reason I can think of for your early death at a very young age. Your life here on earth may have been cut short, but the life waiting for you in heaven is for eternity. May our Lord immerse you in His Divine Mercy. Rest in peace, good and faithful servant. RIP, Officer Santander. Praying for you and your loved ones. RIP my brother. Another example of the sick and violent society will live in..speedy recovery for your partner and off duty officer. Peace and prayers for your family, friends and fellow officers. Marty Mooney Det ( ret ) NYPD and son Alex active NYPD. Blue Knights XIX Rome NY/XXXII Syracuse NY. Once again my heart is broken over the passing of a brother and hero in Police Officer Rogelio Santander. I know our Heavenly Father has welcomed him home to live forever in his Kingdom. May the Lord deliver blessings, comfort and peace to family, friends and peers of Officer Santander. On behalf of the Klamath County Sheriff's Office in Klamath Falls Oregon, we send our sincerest sympathy in the recent loss of your Officer, Rogelio Santander, in the line of duty. it is always a huge loss when a fellow officer makes the ultimate sacrifice. His bravery and courage to protect and serve your community has not gone unnoticed. Matthew 5:9 Blessed are the peacemakers for they will be know as the children of God. Lord, hold his family in your hands now and in the times to comes. E.O.W. brother. Report to St. Michael for your next assighnment. Rest easy, we will handle it from here! Thank you for your service to your community, your state and this great nation. Your sacrifice shall not be in vain for you shall never be forgotten. I pray that your family gets over this tragedy and that generations hereafter follow in your footsteps. Thank you for your service and dedication. Rest in peace brother. Rest in peace Police Officer Rogelio Santander, and may our Lord give comfort and strength to your family and friends during this trying time. Thank you for your service to your community and our country.